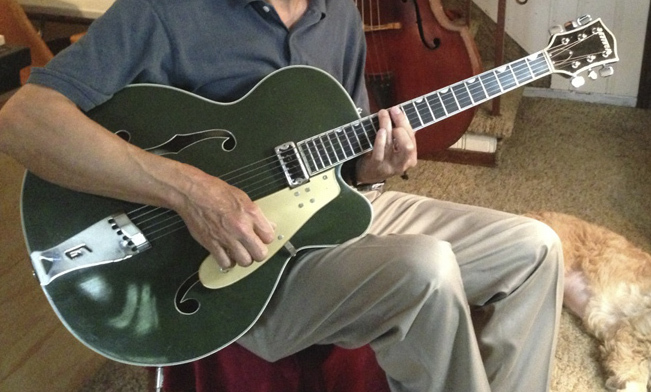 I received this Gretsch 1948 Sal Salvador (convertible) Archtop guitar in my shop for repair. This guitar had been in a house fire. Fortunately it suffered mostly heat exposure and did not combust. 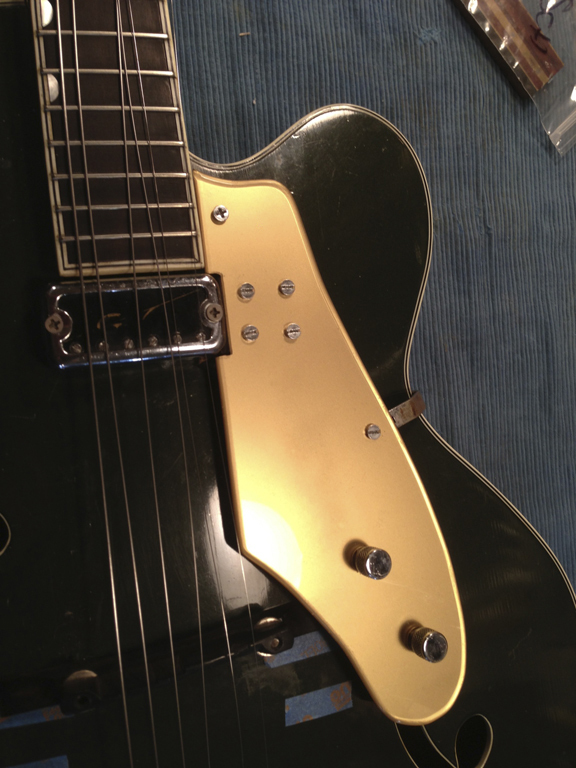 The pick guard which was a gold acrylic that also doubled as the support for the pick-up, volume and tone knobs had melted and bent. This caused the pick-up to tilt up making it hit the strings. The guitar became unplayable. 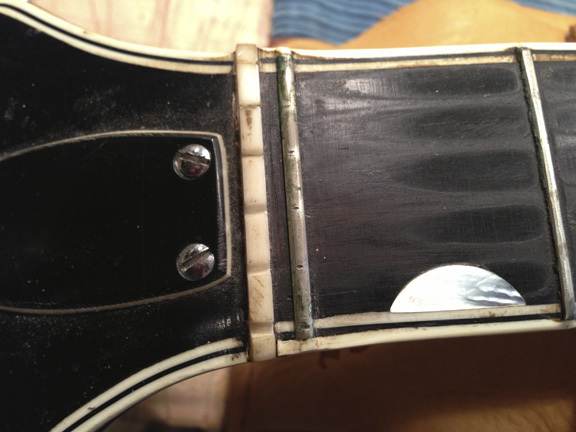 The instrument also suffered from worn and un-level frets and had a crack in the neck heel that needed to be filled. The split in the heel was resolved by sawing the break clean and placing a thin sliver of maple into the slot and gluing it in place. Retouching to hide the repair was simply matching an enamel green and painting the piece of maple. I made a paper template from the old pickguard and sent it to Terrapin Guitars. 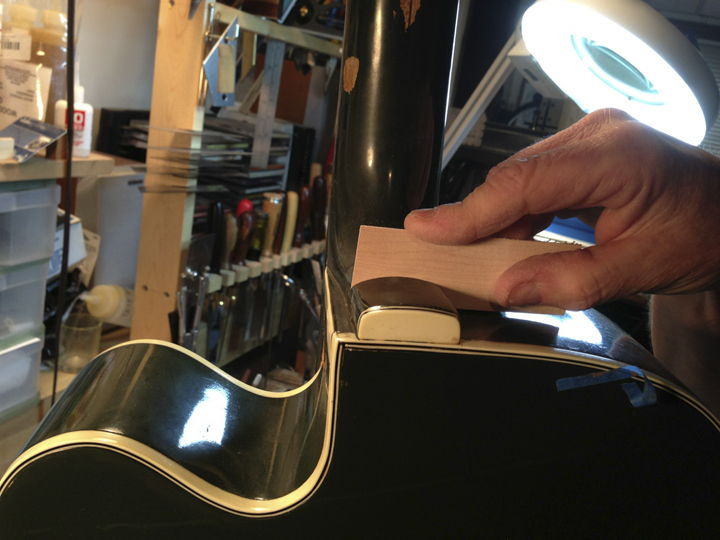 They specialize in making replacement and custom pickguards. They made a beautiful duplicate and provided the holes for the remounting of the pick-up and remounting the guard. The fingerboard was cleaned and I leveled, re-crowned and polished the frets. 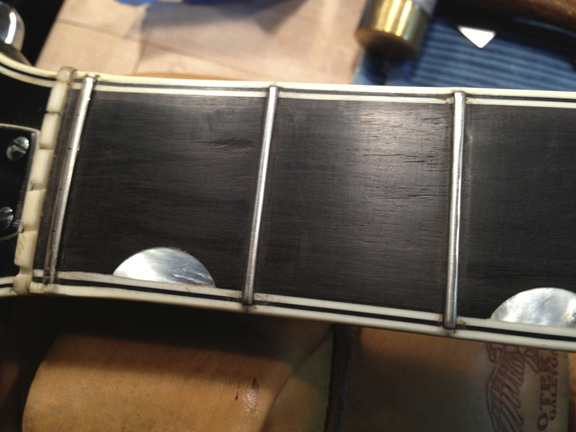 No frets were replaced as there was still plenty of material left to work with. 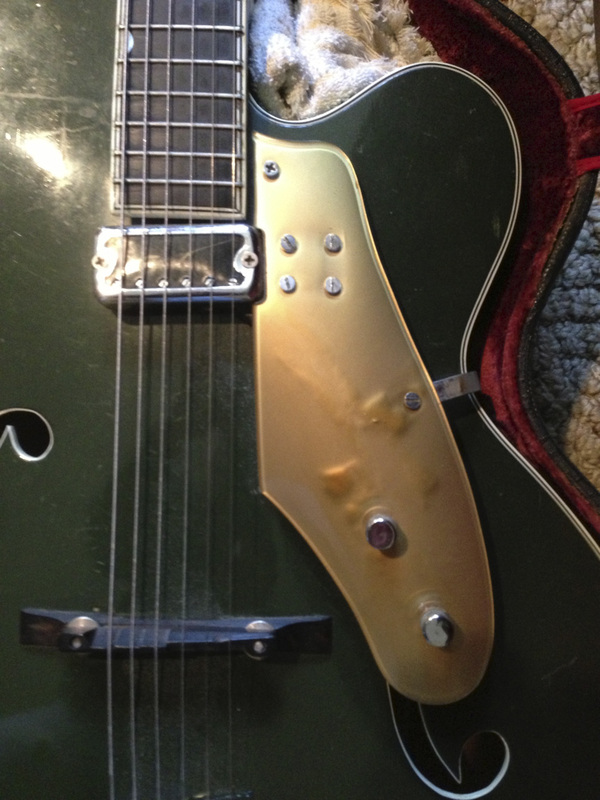 After the repairs were complete this 54 years old instrument played beautifully, had a smooth action and sounded amazing. This made the owner a very happy man!